Having a pet is risky business. It's also messy and not totally worth it. As a person who has owned two dogs, several cats and a very large bird for extremely varied lengths of time (never together, God forbid), I can safely say that going to so much trouble for the love of animals is not a very good idea. Dogs are messy. They will have a go at chewing anything and everything in sight and not let go. When they do let go, and I don't mean letting go of any man-made object that it has picked up, they do it anywhere they damn well please. Since you're the sorry little idiot who bought/brought it into the house, you're going to be forced to clean it up. Dogs also require regular walks and exercises, unless you want just another doormat, albeit one that breathes and is actually warm. If you're a lazy bum, then dogs would be a good idea for you - the dog could drag you around and give you the most exercise you're ever likely to have. Cats are slightly less messy, but messy nonetheless. Shedding fur all over the place, scratching the sofas, tearing up the curtains, these little fiends are the perfect weapons if you are intent on destroying someone's house. Not to mention the fact that more people are allergic to cat fur than any other pets. They're also high maintenance compared to dogs, as their dietary problems can be numerous. Be mindful of what you feed a cat, otherwise you'll end up with a pile of vomit at your feet. Other than look cute and purr when you scratch its head, a cat is pretty much useless. It'll eat, sleep and scratch you all day. I have had people ask me if I do drugs - such were the countless number of scratches on my arms and hands. Birds don't do much. Which makes them pretty lame pets, but at least they can be put in a cage. The only maintenance they require is weekly cleaning of their cage for bird poop. Birds eat a lot less too. While I think that putting a bird in a cage is just wrong, what else are you supposed to do, let it roam around the house? Unless you want to be throttled by your parents, either set it free or be prepared to put it in a cage. And no, a fish inside a bowl is not considered a proper pet. We won't go there. If you thought getting a broom and cleaning up your pet's poop is a tiresome job, just be thankful that you've never had, or had the urge to have, an exotic animal as a pet. As Ontario's 66 year old Norman Buwalda found out, campaigning for the right to keep exotic animals as pets takes a bad turn when your pet 350kg tiger mauls you to death. This happened in 2004, when Norman went into the Siberian tiger's cage to feed it. Occasionally cleaning up your cat's vomit doesn't seem all that bad, huh? We sacrifice quite a lot to keep a pet. In the end, isn't it for ourselves? I personally feel good about taking care of an animal. Even if it's a huge chore, I don't mind. 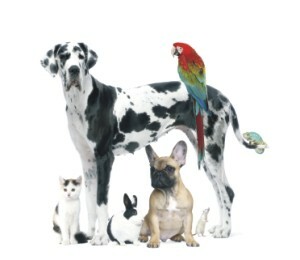 Cats, dogs and birds are brilliant (in that order). Do you find yourself fuming when someone cuts you off in traffic? Does your blood pressure go through the roof when your team-mate does not cooperate? Well I guess we all feel that way. It's normal. And after all, we are just human beings. Taming the animal inside is tough, especially when you get really angry. Usually, therapies encourage screaming at a pillow, hitting a punching bag, kick-boxing, squeezing stress toys, or listening to some angry music as a healthy alternative of taking it out on someone. In California, you get to buy and hurl as many dishes as you want against the wall; likewise, in New York, you can punch a Panda for free. As satisfying as it may seem, the truth is, expressing your anger even against inanimate objects doesn't make you less angry. In fact, it actually makes you want to get more pissed off. Humans have these things called "habits." When they do something and it makes them feel good, they want to do it again and again, leading to the desire for wanting even more. So ultimately, you do hulk-out and end up punching someone in the face, or say and do something which you regret over time. The rush of anger is addictive, and letting yourself lash out as a means to control your anger is like drinking to control your urge to drink. You always heard things like, “If you keep your anger bottled up, one day you'll just snap!" 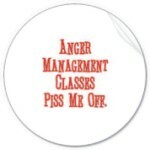 and "If you let your anger out, you will feel better!". But the question is, how do you express your anger so you don't make a mess out of things? Visualise something funny about what you are angry at. For instance, if you are angry at your boss or a teacher because he yelled at you for something you didn't do; picture him fatter, balloon him up, put a pair of dorky spectacles on him, a dotted outfit, orange hair, a big red nose, acne, wrinkles, blemishes and all the possible skin impurities you can think of. This will help you calm down and smile. Watch TV. Switch your channel to something amusing and hilarious, like watching Wipeout or your favourite episodes from Scrubs and F.R.I.EN.D.S. Watching Bangla movies is also not a bad idea. Such as, “Khoj: The Search” or “The Machine Man”. Write down all your thoughts. On a piece of paper write down all that you are feeling or write an “inappropriate letter” to the person who ticked you off. Just follow Eminem with his lyrics! Draw your thoughts. Draw your aggressor on a piece of paper (be creative! ), tape it on the wall and say the things you've been meaning to say. But after you're done, don't forget to make sure you trash it in the right place; you do not want your teacher to find that out in one of the homework notebooks. Play video games. Just find one with a satisfying "blast" or "smash” and it'll all be worth it. There's nothing more satisfying than killing off your enemy in the battlefield! Just make sure the game is something not too tough. Read the newspaper. When you're angry, the last thing you feel like doing is reading boring old newspapers. The thing is, all you have to do is look at the front page and you'll forget about what's bothering you instantly, as you get sucked into all the dying, political dilemmas, burnings, suicides, eve teasing dramas and so much more. Avoid getting your anger across the void of cyber-space! Phone a friend or dance around with some really loud music which will make you not take things seriously. Try out wacky outfits. Hum or sing some really cheesy songs- Justin Bieber or Lady Gaga would work. But for goodness sake, don't post it on your Facebook status or write blogs about it; you will regret it later. Take a nap. If nothing helps, the best thing to do is to snuggle up to your pillow; turn on some soothing music and go to sleep. P.S. crying also helps. The list of triggers that can make us angry is endless. The key to control your anger is actually you yourself. "My name is Kathy H. I'm thirty-one years old, and I've been a carer now for over eleven years.” The brilliance of Never Let Me Go lies in its simplicity, its ability to enthral the reader despite the modest, yet sternly eloquent, language it utilises. The simplest of beginnings sets the mood for the rest of the novel, as Kathy H. tells her story to the reader, through flashbacks and half-memories and misunderstood phrases. She is a 'carer', but what that means, is for the reader to find out, and therein lies the problem for the reviewer, and the ingeniousness of the author. The narration, ever smooth and flowing, doesn't push, but gently nudges the reader along to different aspects of the truth that lies subtly beneath the veil of the story, little bits of wrapping paper being slowly peeled off to reveal a cruel gift. Set in England in the late 1990s, the initial impression that you get is of children in a boarding school, easy to confuse this with a coming of age novel. Ishiguro, as always, follows his pattern of keeping his readers restless, giving them glimpses and glances of what the story truly holds. Further reading leads to gradual knowledge about the characters, as they face every day problems, but in the beginning you remain unaware. As you meet Kathy's best friends Ruth, a strong-willed extrovert, and Tommy, creatively challenged, angry and bullied, you will find yourself constantly baffled and immersed. This has often been labelled as “sci-fi”, which, perhaps, would be a wrong approach of going about reading the novel. Take the book as it is, for the journey within the book is for the characters as much as it is for the readers, and any other details would simply ruin that crucial moment of self-awareness. Another thing to be noted, as the page after the dedication, so mischievously misleading, points out, is that it is set in the late 1990s. Hence, the term “sci-fi” can be deceptive; it is alternative history, providing a far darker realm of plausibility to its features. 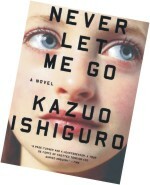 Published in 2005, Shortlisted for the Booker Prize, Kazuo Ishiguro's latest novel provides a bleak view of what the world could have been, through fast, simple, sometimes frustrating, and in the end, heart-wrenchingly potent language, making this a novel not to be missed. The name, by itself, should be enough.